The trilogy is complete. Past Grand Master Dave Rosenberg has finished his third book in the “Future of Odd Fellowship” series, and it is available to order. 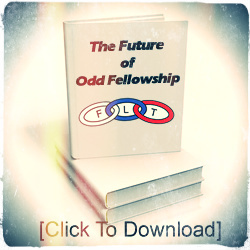 The first book, published in 2012, was entitled The Future of Odd Fellowship – To Be or Not To Be, the second book, printed in 2015, was called The Future of Odd Fellowship – Evolution and Change, and the newest book is titled The Future of Odd Fellowship – The Next Century. This third book’s publication coincides with the 200th anniversary of Odd Fellowship in North America and will be available in April of 2019. “There are literally hundreds and hundreds of books that have been written about Odd Fellowship,” said Rosenberg, “but all those books deal with the rich history of the Order. These three books are the only ones to my knowledge that contemplate the future of our fraternity.” The book encompasses 268 pages and contains 111 articles written by Rosenberg during the years 2015 through 2018. The newest book can be ordered by writing to Rosenberg at his Lodge: Odd Fellows Lodge, 415 2nd Street, Davis CA 95616. Enclose a check for $15 for each book, payable to Dave Rosenberg, which covers the cost of printing and shipping. I have visited Lodges where the age of all members falls in the range of 60-80. These Lodges have told me that they have difficulty bringing in new members younger than 60. Has Odd Fellowship in the 21st Century devolved to being a fraternal order of grandfathers and grandmothers? Have we become a stodgy anachronism? A throwback to the generation of radios, land-line phones, and typewriters? If the answer to these questions is “yes”, then we are surely on our last legs as a fraternity. However, I believe that the answer to these questions is “no” or should be “no” and I have proof. Odd Fellows Lodges are quite able to attract members from many generations. The proof is my own Lodge in Davis, California. We have been doing so for the last decade. For example, my Lodge currently has 23 applicants who have applied for membership in the following age range: 1 of them in the 80’s, 4 of them in their 70’s, 4 in their 60’s, 5 in their 50’s, 1 in the 40’s, 2 in their 30’s, 3 in their 20’s, and 3 who are in the 16-19 age bracket. Why is my Lodge able to attract applicants from a wide range of ages (and generations), while other Lodges only attract applicants in the upper echelons of age (and the oldest generation)? The explanation is both simple and complex. People join Lodges, clubs and organizations for one of two major reasons: (1) It offers them a social environment where they can do things that they enjoy with people whom they enjoy; and/or (2) It offers them an opportunity to do good works for others in the local or greater community. That’s it. That’s the simple part. Now, here’s the complex part. If your Lodge does not offer a convivial social environment that new members will enjoy, or offers no opportunity to do good works for others – your Lodge offers NOTHING to potential applicants. If your Lodge Hall is shabby, dirty, dingy, smelly or dark – forget about attracting new blood. If most of what your Lodge does at a meeting is read from the ritual book, the applicants can do that in church. If all your Lodge members do is sit at a meeting and discuss the leaky toilet, or how Joe’s leg is healing after his fall, or should the Lodge give a donation of $75 to a Little League team – your Lodge is generally boring. If the members of the Lodge bicker with each other, or criticize ideas offered by new members, or talk about members behind their backs – then your Lodge has a toxic atmosphere that will not be of any interest to your applicants. If your Lodge does nothing to help folks in need in your community – then, in particular, younger folks will look elsewhere, perhaps a local service club, to feel that they have accomplished something to improve society. How does my Lodge – Davis #169 – attract applicants from every generation, including teens? Here comes the simple part, again. My Lodge listens to the members, and the potential new members, and creates committees to address their desires. Many of the committees are social committees where members can just have fun, be it bowling, or hiking, or music, or tasting wine, or smoking cigars, or storytelling, or dinner – or your name it! Just as many of the committees address needs in the community, be it homelessness, frail elderly, hunger, environmental cleanup – the list can be endless! The old-timers who resist change can pooh-pooh this all day and night. But it works. And it will save this Order. The earliest records of an Odd Fellows Lodge go back to 1730 in London, England. In 1819, Odd Fellowship came to the United States when the first American Lodge was chartered in Baltimore Maryland. Soon thereafter, Odd Fellows Lodge sprang up in every state of the Union, and came to California in 1849, and eventually came to Davis (then known as “Davisville”) in 1870. 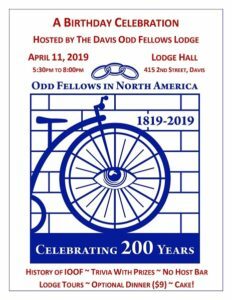 So, 2019 marks the 200th anniversary of the founding of Odd Fellowship in North America. 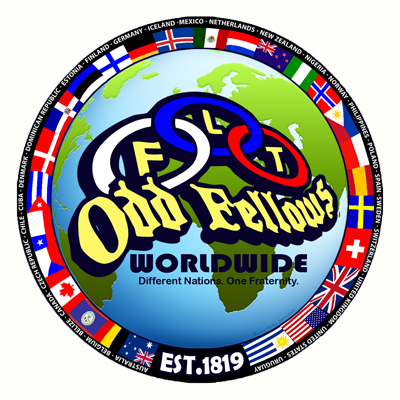 Today, there are 10,000 Odd Fellows Lodges in 26 countries with some 600,000 members. To celebrate the 200th anniversary of Odd Fellows in America, and to commemorate the international flavor of Odd Fellowship, the members of the Davis Odd Fellows Lodge have decided to “Walk Around the World.” Lodge members have will keep track of their steps for as long as it takes to reach the 65,740,092 mark – which is the equivalent (in steps) of the 24,901 mile circumference of the planet. The “Walk Around the World” project started last month, in January, and currently includes 35 walkers who have, to date, walked 4,949,406 steps. It is anticipated that it will take at least one year to accomplish the planet walk, which will take the Davis Odd Fellows Lodge into 2020 – that year marks the 150th anniversary of the Davis Lodge’s charter. The Davis Lodge is the oldest continually operating entity within the city limits of Davis. Davis Lodge was instituted and received its charter in 1870. It was the 169th Lodge chartered in California, and was given that Lodge number – 169. When it was chartered, there was no City of Davis, so the original name was “Yolo Lodge #169.” In 2008, then Noble Grand Dave Rosenberg, had the name changed officially to “Davis Lodge #169” to better represent the fact that the vast majority of members come from the Davis area, although the Lodge also has members from Woodland, West Sacramento, Winters, Dixon, Vacaville and Sacramento. The Davis Lodge Hall was originally located on G Street, which at the time, was the “main street” of Davis. In 1955, a new Lodge Hall was built at 415 Second Street, and this is the location for the Lodge today. 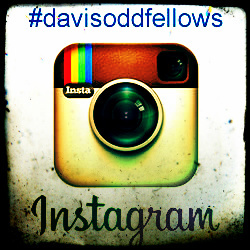 More information about the Lodge and about Odd Fellows in general can be found on the Lodge website at davislodge.org. It’s generally accepted that Odd Fellowship came to North America on April 26, 1819 when Thomas Wildey and his small group of brothers formed a Lodge in Baltimore. That was 200 years ago. What was life like 200 years ago in America? At the start of the 1800’s, most everyone lived on a farm or in a rural existence. Folks spent most of their time planting, weeding and harvesting, and taking care of the farm animals. People typically went to bed when it was dark, and got up when the sun started peeking over the horizon. When folks wanted to go somewhere they generally walked, or they rode a horse or donkey, or took a boat. There was no electricity and no natural gas for lighting, cooking or warming. Many people were enslaved, or close to it, and virtually no one had the right to vote. Clothing was so expensive that the vast majority of people possessed only one outfit. In the North, cows and cattle provided milk, butter and beef. In the South (where cattle was less common) venison and other game provided meat. In the era before refrigeration, preserving food in 1819 required smoking, drying or salting meat. Vegetables were kept in a root cellar or pickled. Jobs on the farm included milking cows, churning butter, carrying buckets of water from a well to the house, bringing in wood for the stove, cooking, sewing and mending, feeding the livestock and chickens, and much more. Very few people in 1819 went to school, and only about one out of ten people (most men) could read. Some children did manage to get an early education, and they typically learned to read, write and do math at home. Or if they were fortunate, they attended a one-room schoolhouse where one teacher taught all grades. Usually the teacher was a single woman, and she could be as young as 14 or 15 years old. Sometimes, children had to walk 2 or 3 miles to attend the schoolhouse, carrying a slate, a book or two, and a lunch pail. Many children in 1819 did not spend their days learning in school or playing. Quite a few children – some as young as 8 – had jobs where they worked all day long. Some of the jobs were hazardous. “Bath day” in the early 1800’s was infrequent. At best, folks would bathe once a week (or on special occasions) in warm water with homemade soap, usually set up in a tub in the kitchen. The family would take turns in the bath. Fetching the water, the wood for heating, and preparing the bath was, in itself, a big chore. Establishing a fraternal order, and setting up a Lodge, was challenging in the early 1800’s. Since transportation was primarily limited to walking or horses, Lodge Halls had to located close to the membership. Ritual books and rules necessarily had to be memorized because only a small minority of members could read. Keeping accounts of financial transactions was even more difficult as very few members had the skills to do so – and accordingly a complex system of checks and double-checks was instituted. In the early 1800’s, sickness was rampant, early deaths were frequent, and families were often bereft as a result of illness and death. Because government provided virtually no support to people when times were tough, Odd Fellowship stepped in and provided hospitals for the sick, orphanages for orphans, cemeteries to bury the dead, old folks’ homes for the elderly and infirm, support for widows, and even helped members find jobs. As a result, secret passwords and signs developed so that “frauds” who passed themselves off as Odd Fellows (in attempts to get benefits) could be discovered and exposed. In 2019, Odd Fellowship operates no orphanages in America, no hospitals, very few cemeteries and even fewer retirement communities. Life in 1819 compared to life in 2019 was (and is) as different as night and day. And yet, in this day, the Codes till require memorization of parts of the ritual, secret passwords and signs are still mandatory, and the ancient admonitions of the Order (e.g. “educate the orphan” or “bury the dead”) are still recited even though they have little relevance or meaning in the 21st Century. To the young men and women of 2019, strange, curious and anachronistic concepts such as “educate the orphan” and “bury the dead” have little meaning, and may even be off-putting. How much more relevant would it be if the Order adopted new admonitions such as “help children in need” and “protect the environment”. To advance in the coming years, the Order must look forward to the future, not backwards to the past. Please join me on a little trip in the Odd Fellows’ time machine. In 1919 social security didn’t exist and many elderly lived in poverty conditions. Americans in 1919 spent one-third of their income on food. And food wasn’t particularly good or healthy. The average American ate 11.5 pounds of lard and 14 pounds of chicken per year. (In 2019, Americans are expected to consume 57 pounds of chicken and 1.5 pounds of lard per year.) Half of all families lived in rural areas or in towns with populations less than 2,500. The average household was crowded, with more than four people (today it’s less than 2.5 people in a household). Owning homes was a rarity in 1919 – there were about four times as many renters as homeowners 100 years ago. (Today, more than 60% own their own home.) In 1919, only 100 million people lived in the USA and more than half were under 25. A century later, the population has more than tripled, and the share of people under 25 has fallen to one-third. Meanwhile, the share of people over 65 has tripled from 5% to 15%. In 1919, hardly anyone drove cars. People generally walked, rode horses, and occasionally took the trolley. There was very little commuting. People generally lived close to their work and typically walked to work. Men wore blue serge suits to work, and women wore long dresses or long skirts. Entertainment was the player piano or the photograph. Fraternal Orders, including Odd Fellows, were flourishing across the country. Now, let’s come back to reality in 2019. In 2019 America is a completely different place than it was in 1919. America in 2019 is a place that folks in 1919 could not even imagine: a place of airplanes, fast cars, computers, laptops, cell phones, smart watches, equal rights for women, credit and debit cars, maternity leave, movies, television, refrigerators, washers-dryers, bikinis, etc. etc. And yet, there are Odd Fellows who believe that if the Order would only go back to the way we operated in 1919, all would be well and we would grow again. That bit of whimsy makes no sense. To flourish and grow, Odd Fellowship needs to evolve and change. Only then will the men and women of the 21st Century be attracted to Odd Fellowship. The landscape of America is littered with the corpses of fraternal orders that rigidly refused to change. Odd Fellowship must evolve with the times. One cannot attract the electric car generation to a horse-and-buggy Lodge.